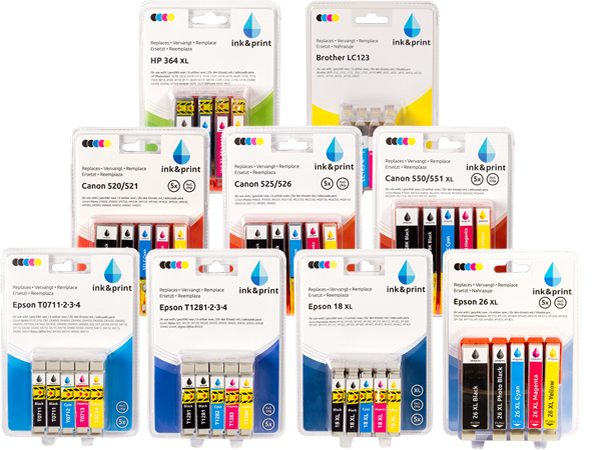 Our Ink&Print brand is the number 1 in Europe with premium cartridges awarded for best quality and best price. 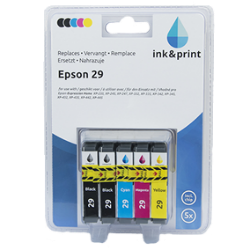 Ink&Print cartridges perform the same or even better than the original cartridges and are available for: Canon, HP, Epson and Brother. Thanks to the high quality ink your prints will be better, sharper and more durable. 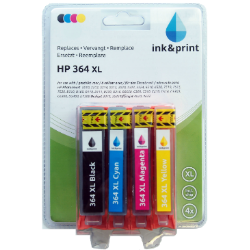 Besides, with Ink&Print your customer never runs out of ink anymore; the modern chip lets you read the ink level on your printer. Check out our Ink&Print website or contact us for more information. When a printer is frequently used, the print heads can become dirty and clogged. The ink might dry out when the printer is used infrequently. Dirty print heads and dried ink can cause white stripes on the printing. Both problems can be prevented and solved by regularly cleaning the printer. That’s why Ink&Print also offers cleaning cartridges. 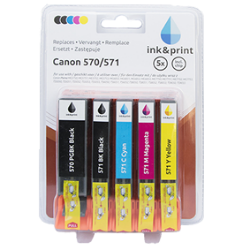 The main advantage of using a cleaning cartridge is that your printer lasts longer and is more efficient with the ink. 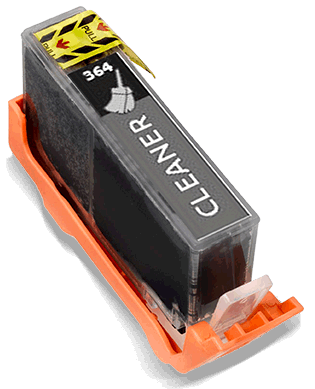 Contact us for more information about cleaning cartridges or visit our brand website.